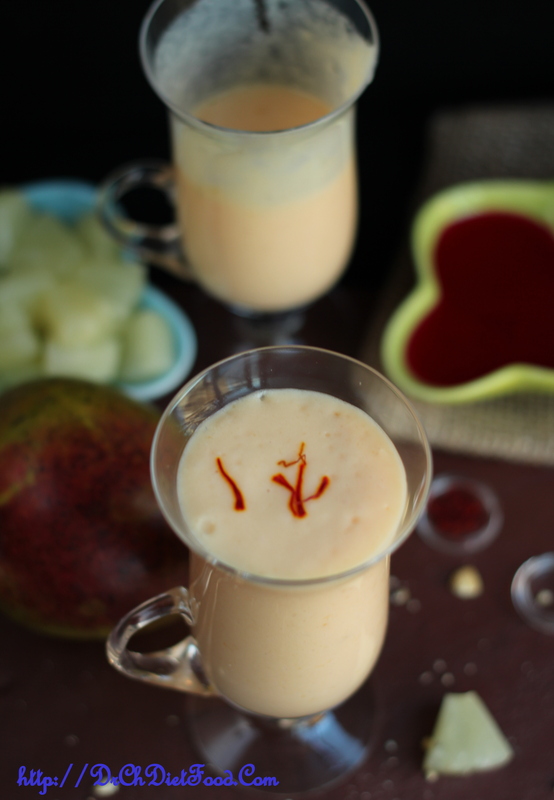 This smoothie is incredibly creamy thanks mango base. Fresh pineapple is then mixed in to provide balance and brightness, and a zing of rose syrup adds a pop of fresh flavour . This smoothie is so amazingly refreshing and awesome. There’s also Greek yogurt to up the creaminess and give this smoothie plenty of protein for a nutritious breakfast or snack! Mangoes also contain an abundance of Vitamin B6, which balances mood, controls stress, and enhances the communication between nerve cells. Pineapple is full of Vitamin C, which is known for boosting collagen synthesis. Eating pineapple literally nourishes your skin from the inside out. Put the ingredients in the blender in the order above. Blend all ingredients until your smoothie reaches your desired consistency. Transfer to a serving glass and top it with some saffron strands/ ice cubes and serve immediately. Proportion of fruits and yogurt can be personalised as per the taste. Consistency can be personalised by adding extra yogurt or milk. Posted on September 17, 2015, in Indian and tagged fruit lassi, fruit yogurt drinks, healthy summer smoothies..., indian fruit lassi recipes, lassi recipes, pineapple drinks, yogurt drinks, yogurt smoothies. Bookmark the permalink. 33 Comments. Oh wow, that looks incredible Chitra. Indeed it was… Thank you Suzanne. .. Thank you Kushi… glad you liked it. Thank you Sri… let me know when you get to try… good day.. Yes Derrick. ..trying to… thanx a lot for your concern. .. am blessed. .. 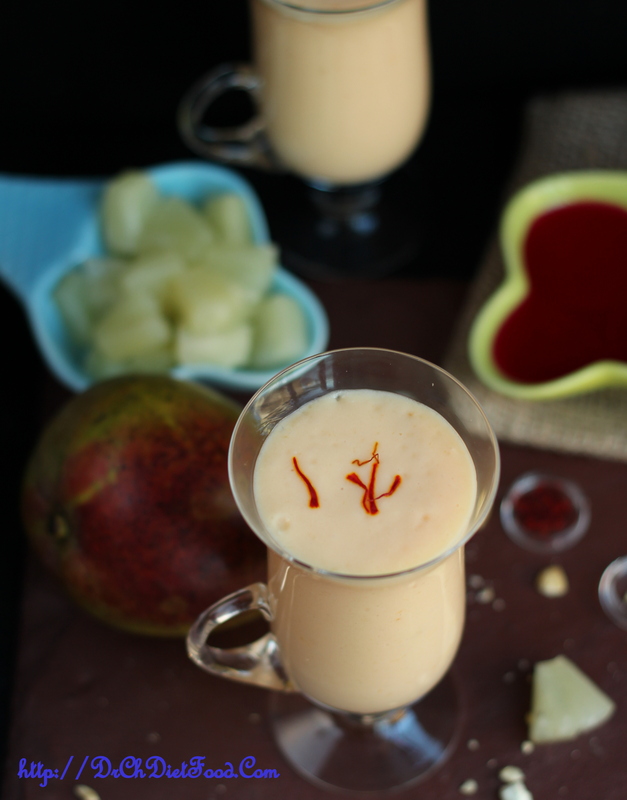 I enjoy a good smoothie and pineapple and mangoes are two of my favorite fruits. 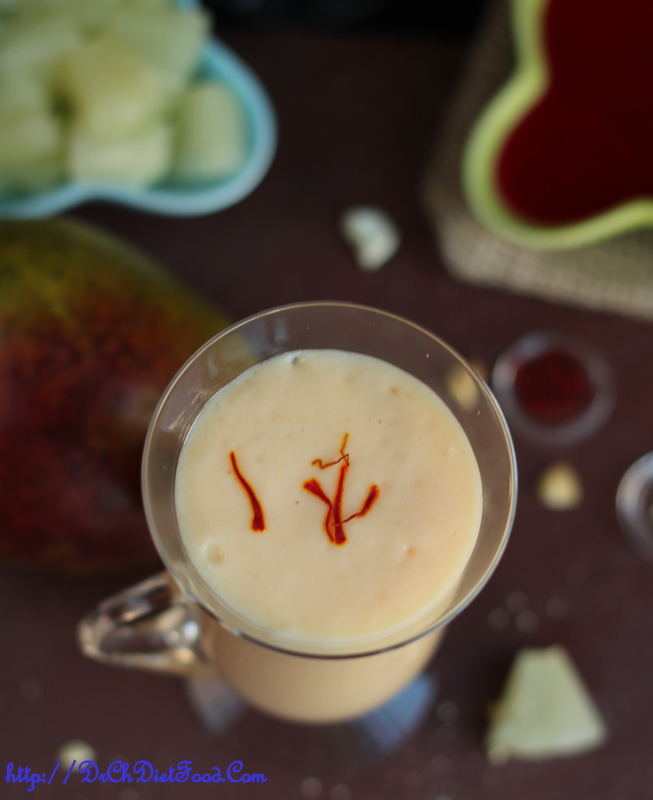 I love the combination of flavors in this smoothie, Chitra! I bet it was so refreshing. I didn’t know about pineapple being good for the skin. I could really use that. Thanks for sharing your delicious recipe! Thanx a lot Charu. ..